Enjoying the waterfront views in this master bathroom from tub or walk-in shower this coastal master bathroom lets the homeowner feel like they are on vacation everyday. This large bathroom features dual his and her vanities, large soaking tub, enclosed toilet room, and enormous walk in shower. 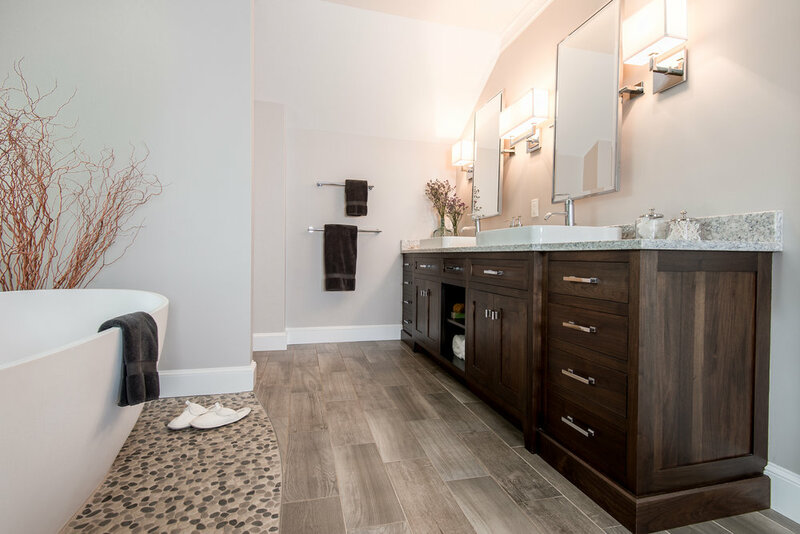 While spending summers at the beach these homeowners wanted modern bathroom style that blends seamlessly with rest of this coastal casual home. As a room to prepare for a busy work day and as a space to unwind from stressful day this master bathroom delivers with plenty soothing natural elements. 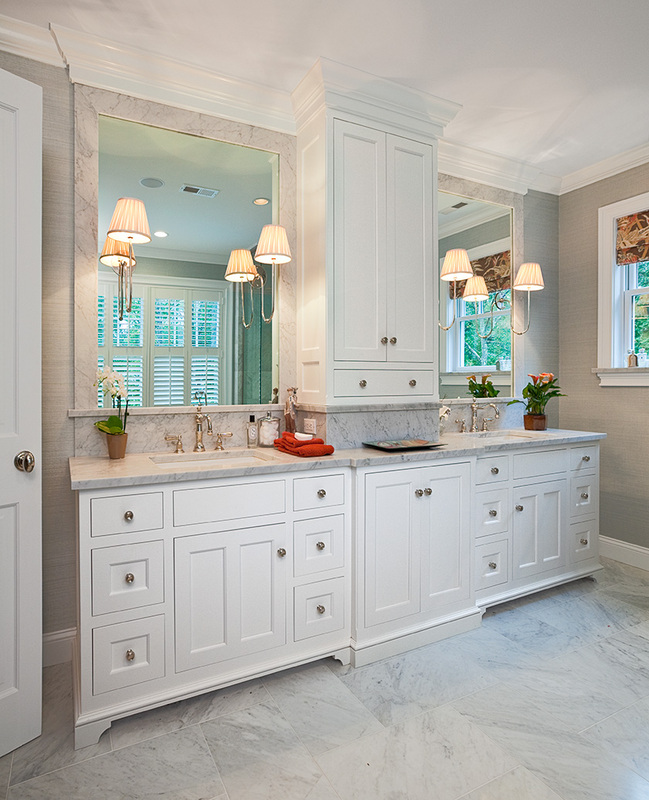 A white painted cabinet, marble counters and floors make this master bath timeless and elegant. A modern floating vanity with clean simple line provides ample storage and easy to clean floor beneath. As a way to make a statement these homeowners used marble as a textural element for all areas except the white painted custom cabinetry. The result was beautiful bathroom with classic style. 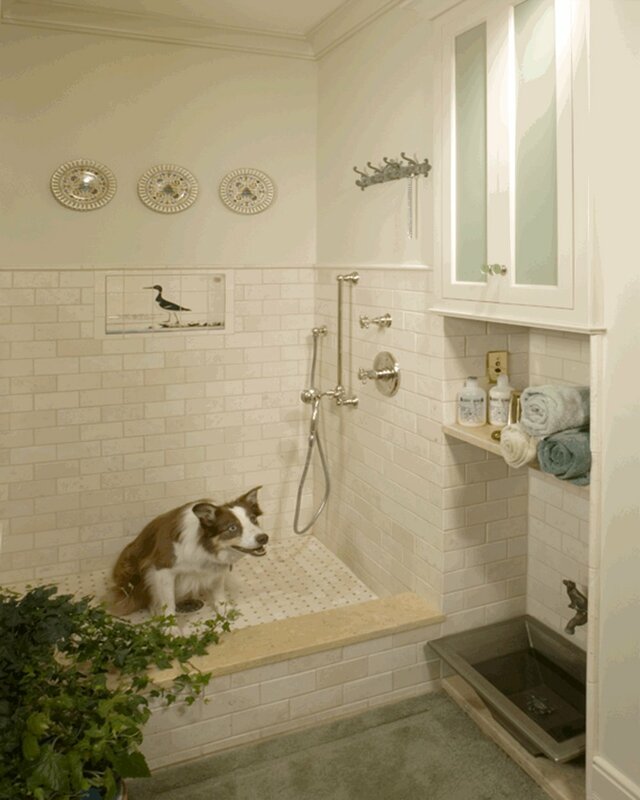 Often we would like our four legged friends to have their own space to clean up and access to fresh drinking water. We enjoy designing spaces for all members of your family. 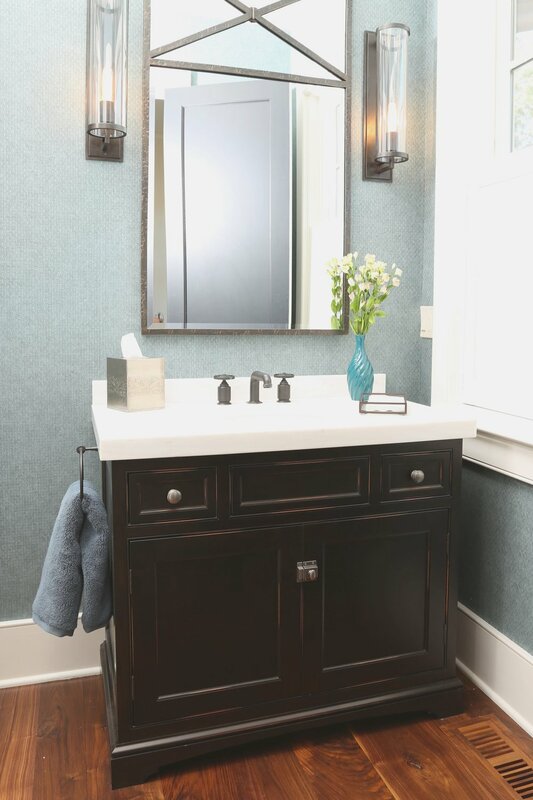 A custom vanity can serve a power room with style, efficiency, and storage despite the small footprint of room.